We're a little over a month away from the next Takeover, the renamed-as-of-yesterday NXT Takeover: War Games, after William Regal decided all the current warring factions in NXT should take out their frustrations inside two steel cages (hopefully). This is the Grapevine article we should've run yesterday, but the War Games announcement was too huge to ignore! As is the norm, we'll put our usual SPOILER WARNING here. The matches you'll see below have yet to be aired, so don't scroll down if you don't want to be spoiled. Also, these tapings sometimes go through heavy changes before the on-air product is released, so there may be matches and segments that won't be seen. Thoughts: It was only a matter of time until the Undisputed Era approached Strong as a fellow ROH alum. What's up with Burch and Oney losing, though? You'd think they'd be booked as a midcard force the tag team division needs, but will this alliance be a detour from what should be an actual feud? Drew McIntyre comes out for a contract signing. Andrade "Cien" Almas comes out, attacks him, and signs the contract for an NXT Championship match at NXT Takeover: War Games. Thoughts: It looks like they're high on Fabian Aichner as well. The more perplexing thing is that Drew McIntyre is nowhere to be found in any of the Undisputed Era's affairs. While Cien needs a bigger story to make himself relevant again, the way the feud was swept under the rug is a little weird and out-of-character for NXT. Velveteen Dream def. Cezar Bononi. He also sends a warning to Aleister Black. The Authors of Pain def. SAnitY by disqualification in a match for the NXT Tag Team Championship after the Undisputed Era interfered. Roderick Strong came down with the Undisputed Era armband, but turned on the group to get beat down. The Authors of Pain saved him, and NXT General Manager William Regal came out to announce the War Games match at Takeover. Thoughts: We're not actually sure if this is the November 8 episode, but we're reverse-engineering what we think is going to be on the card because we don't rely on other reports. That said, the way they've built up to the War Games match—handling four different warring entities (Strong and the Authors were separate until now)—is amazing. It's something main show WWE would never be able to pull off. We're stoked. Street Profits def. Tino Sabbatelli and Riddick Moss. Lars Sullivan def. Raul Mendoza. Lars went to attack Mendoza after the match, but Kassius Ohno ran down to make the save. Ember Moon def. Mercedes Martinez. All four of the contenders for the NXT Women's Championship come down for a staredown. Drew McIntyre and Andrade "Cien" Almas (with Zelina Vega) have a confrontation. Roderick Strong def. Adam Cole (with Bobby Fish and Kyle O'Reilly) after the rest of the Undisputed Era interfered. The Authors of Pain came down for the save and SAnitY also joined. The brawl ends after Strong superplexes Cole onto everyone else. Thoughts: This has to be the November 15 episode. Otherwise, there would be nothing at all in the important go-home week before Takeover, and the show better do the build-up justice. 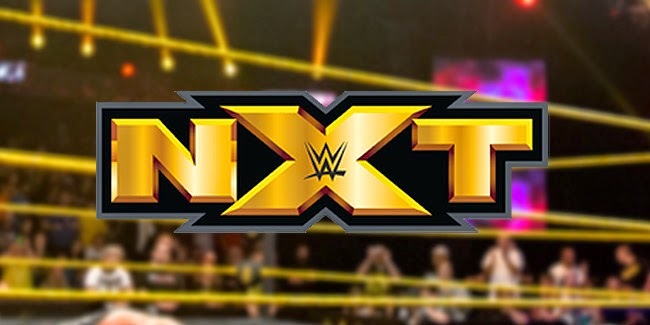 What do you think of the coming episodes of NXT? Let us know your thoughts in the comments section below!